Is this a Stupid Thing to do? 4) I’m not a coder. Did I mention that already? I write this blog with a background as a Swaps trader. Meaning that, over the years, I’ve had to get comfortable with VBA to master the dark arts of Excel. I was taught the very basics (15 years ago now, gulp) and the rest has been “self-taught”. And all of this was from before the days of searching for snippets of code on the internet! So last week, I set myself a challenge for the new year. Could I actually code? What follows took me less than half a day. That’s right…..less than 6 hours work is here. From scratch. My goal? 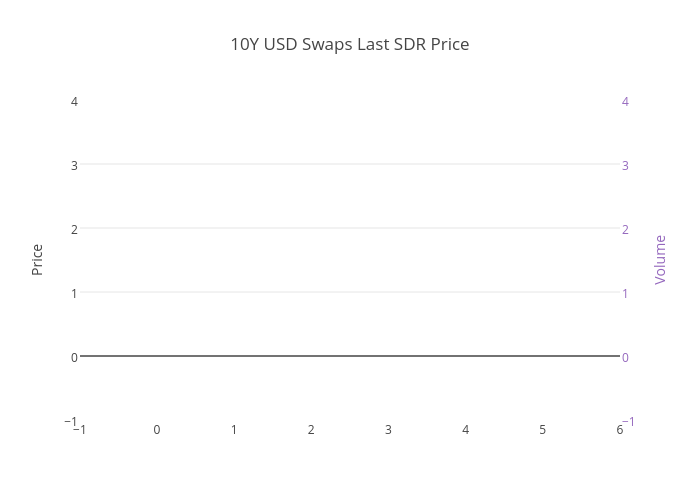 To get the last traded price of a 10y USD IRS into Python. Why Python? Because it seems to have the same following amongst our development team as Excel does amongst traders. I’ve read enough posts on stackoverflow recently to know the pitfalls of posting amateur code up on the internet. So all I will say is that the code below worked for me, and in a flawless manner. I’m not holding this up as the right way to do this, but I do think people should know how easy this kind of thing now is. Some explanation of why I’m doing this will go here. Out comes a streaming chart (eventually). Static screen grab of our streaming charts. See bottom of blog for live chart. What this means is that every time you see some code on the Internet that has “Import” at the top of it, you just need to make sure you’ve previously run “python -m pip [name of Import package] install” in your Command Prompt. These so-called “Packages” (a.k.a excel add-ins in my trader view of the world…) simply give you access to a whole host of functions in Python. We’ve probably covered most of the faff now. All you have to do is open “IDLE” and you’ll see a nice blank screen, that looks suspiciously like notepad. From my previous experiences, this is where it can all get a bit daunting. It’s just a bit too blank canvas for my liking. Fortunately, we can just copy and paste code into this window and run it. So that’s where the next bits come in. You’ll need a Clarus token. This will authorise you to use our API. Contact us, log on here or send your username and password directly to our API (see below). Don’t freak out at the mention of an API. It just means Clarus will be sending you our data once you ask for it. password = "I'm not stupid enough to put that on a blog"
You forgot to run pip on all of those “import” packages at the top. We are now telling Python to return the output of the REST API call (simply denoted “s”) and, from that indexed data (because it’s returned in “JSON” format) we can also directly return “named fields”. Such as the apiToken we are looking for. Hence your IDLE screen should now look something like the screenshot to the right (with access tokens not blanked out!). Now that we can do a Post call (i.e. sending data) , we can also do a Get call (i.e. retrieving data) to the API. It’s just a case of defining the parameters that our API expects and sending them via “requests” in Python. So here, we’ll ask the Clarus API for “Prices”. I hope those last 5 lines of code are clear. I find the exact field I’m interested in from the text output of the API call. I’m sure there is a better way to do that, but I thought I would follow an “excel” like way of using “Find”, “Mid”, “Len” etc text-handlers to draw a parallel between what I am used to using (Excel) and what it looks like in Python. Looping the “prices” part of the code creates a ticker on your desktop. Searching for “notional” gives you the total volume traded and the last volume traded. You can now access other APIs…. So I did all of that and sent the Clarus 10Y price and volume data to the plotly API using this code. Plotly is a free on-line charting tool that I am coming to use more and more. Mainly because it is super easy to use and covers some of the missing data visualisation tricks that I wish were in excel. Hey presto, a trader with limited skills can produce the below. Which is pretty damn cool! Which can then be used to send to other APIs to create easily accessible charts. Just try that plotly chart on your phone! ETA: How to find data in the JSON!